The practice of branding geographic locations such as countries, regions, cities and towns is increasing, yet there is a paucity of published research on the topic. The literature, such as it is, suggests that branding in such cases is at best complex and at worst impossible. 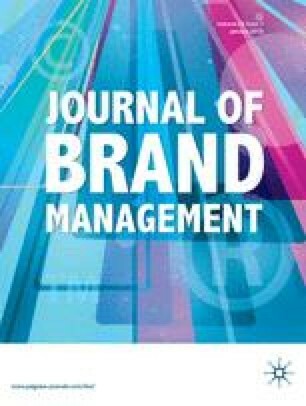 This paper reports on a qualitative study of 12 ‘cities’ in the UK which sought to explore the role which branding plays in the marketing of these locations. The study purposefully excluded large cities such as London, Manchester and Glasgow, which have received extensive media attention. The results suggest that branding as a concept was seen as relevant but not always understood or applied effectively. The study provides insights into the key factors which affect the development of locations as brands. The four factors identified as being of particular significance were organisational complexity and control, the management of partnerships, product complexity and the measurement of success. The study concludes, nevertheless, that the branding of locations is not impossible and recommends an agenda for future research to address the key factors identified. 1teaches and researches in the Business School at the University of North London. His research has focused on the people and organisational aspects of branding both in the commercial sector and more recently in the public sector, where he is currently researching the role and effectiveness of the public sector and other stakeholders in the branding of locations.